Starring top local acting & writing talent, James Cairns, this 65min one-man show is sure to have you on the edge of your seat. Gambling with the Devil is such a bad, bad idea. But Billy Markham – he’s been on the scene for years, he’s been cut and bled a thousand times, and his eyes are wise and sad – hell, he ain’t afraid to roll them devilish dice. “If you’re lookin’ for some action, friend, well, I’ve rolled them dice before.” What happens next is an epic tale of Faustian proportions superbly recounted by JAMES CAIRNS directed by Jenine Collocott – the team behind The Old Man & the Sea and The Snow Goose. Artsmart – “James Cairns puts in a stellar performance in performing this one-hander. 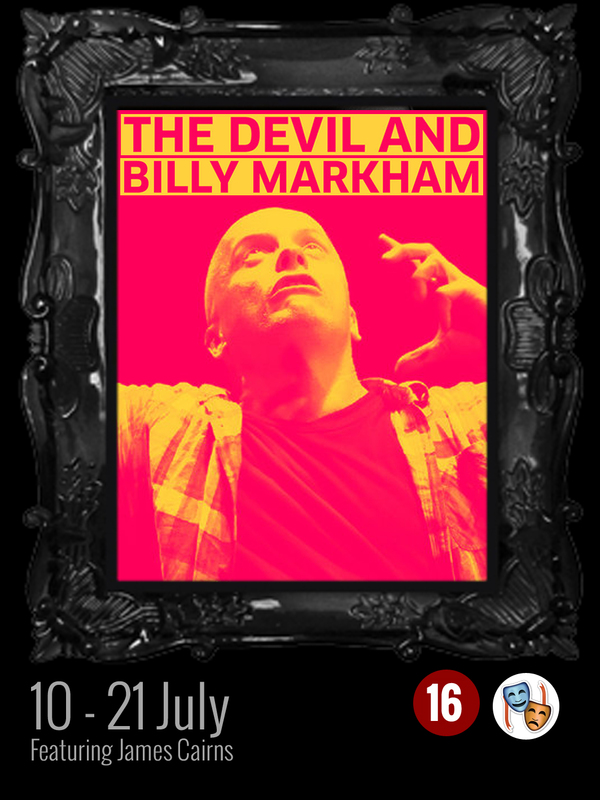 The Devil & Billy Markham is an outstanding production and features a tour-de-force performance by James Cairns. The Herald – Director Jenine Collocott and actor James Cairns make a helluva meal out of The Devil and Billy Markham, an epic poem in iambic pentameter by the late Shel Silverstein. The story also has more down-and-dirty twists than the devil’s tail itself and although the plot heads in unexpected directions, I can tell you that it travels to hell and back, via heaven and earth, in the space of just over an hour. Tickets? Tickets are only R150 pp and can be purchased online over here.